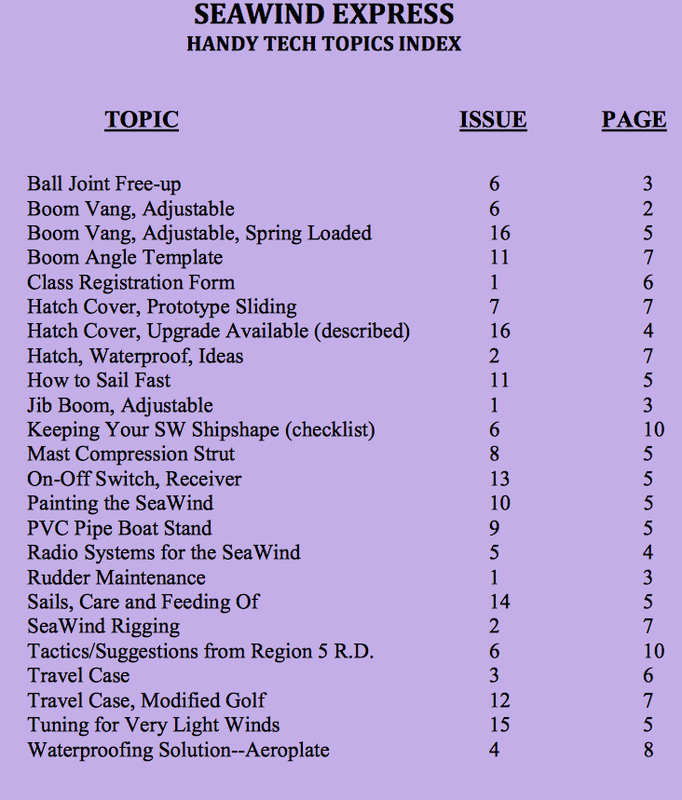 This page has links to the SeaWind Express which is a semi-annual publication from the SeaWind US Class Owners Association (USCOA). Much information is available on tuning, regatta results and many other interesting articles. The files starting with SWE1 are the issues of The Express.